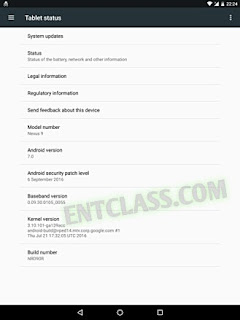 Google recently had it that the Nexus 6 and LTE Nexus 9 will be getting an update to Android 7 Nougat. Nexus 6 has started receiving the Android 7.0 Nougat update earlier this month, October 2016. Now, the HTC manufactured tablet -LTE Nexus 9- has also started receiving Android 7.0 Nougat update. The update brought a build number of NRD90R and also packs September security patch update. 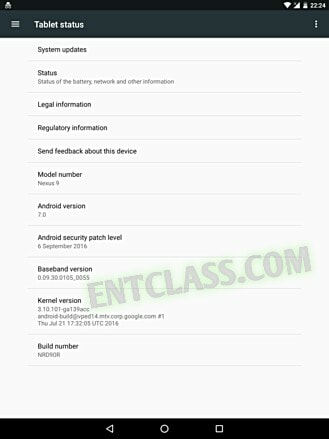 The security level and post update shows a date of September 6 while the Nexus 6 update shows a security patch dated October 5. It's worth mentioning that Factory and OTA images aren't yet available from Google.